Security is more important than ever for your website. When you consider that major retailers are susceptible to hacks and attacks it may make you more aware of the need to tidy up your own security settings, procedures and protocols. A few regular practices should be at the top of your list in order to protect yourself, your data and the integrity of your website.Malware Malware is malicious beyond belief and often embeds itself so deeply into your computer that the only way to eradicate it is to scrub your data and perform a full system restore. One of the best practices you can employ is to keep your scripts and platform versions up to date. This is especially true for many popular blogging platforms. If you see a new version it may include some new bells and whistles or control panel changes but overall new version updates include security and script updates that are designed to enhance your protection levels.Passwords Make your passwords random long and mix it up with uppercase and lowercase letters, numbers and special characters. There are many programs which can store your passwords in a highly secure environment. You might think it is a hassle but the bigger irritation is a hack which can destroy data, hijack your site for entirely for malicious purposes as well as take private information which can be used against you for identify theft along with other sinister purposes.Script Updates Update your scripts on a regular basis. Scripts that are out of date can leave you wide open to attacks. Outdated scripts can also be used as back doors to access your information and sites. Malware is notorious for finding holes and vulnerabilities in outdated scripts. When you keep your scripts updated on a regular basis you are taking another big step towards protecting your site and improving your security.Use Secure Networks If you are on a public wi-fi then it would not be a good idea to change your passwords at that time. You can open yourself up to a high level of insecure exposure when engaging in activities that should only be performed in a secure environment. If you are not on a secure network then take into account what activities you should and should not perform in these types of environments.A few regular maintenance and update tasks can go a long way in protecting the future of your data, identify and time. Lost time is lost money and an attack via outdated scripts, low strength passwords, or simple negligence when using a public and unprotected internet connection are not risks you want to take. 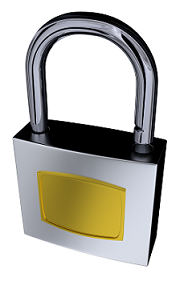 Enable a strong security plan for your website in the future and you can rest assured your site is well protected.